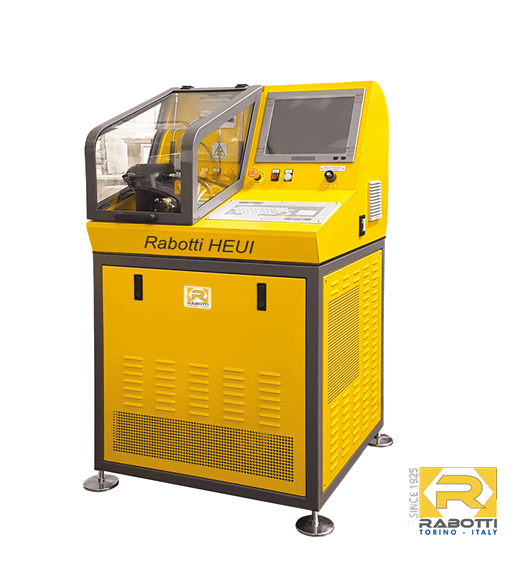 HEUI is the test bench of the Rabotti range specifically designed to diagnose HEUI injection systems. Ergonomic and reliable, with a 5.5 kW motor it ensures speed and precision when testing single HEUI unit injectors of Caterpillar, Navistar,Ford, Perkins and Detroit Diesel engines. The hydraulics designed and built for a high output working pressure of 240 bar, make this simulator an indispensable tool for those repairing heavy duty vehicles that apply these propulsory units.